If you could help Safe Child Africa fight persecution, re-house children in danger and improve child rights every time you shop online, would you want to know more? .As a very small international aid charity, Safe Child Africa receives no central government support, foreign aid or statutory funding. We rely on the generosity of our regular donors to maintain and develop the important work we do with our partners to help persecuted and abused children in the Niger Delta. But now, through Give As You Live there is a way you can do just that, every time you shop online. And the best bit is - that it doesn't cost you anything! If that all sounds a bit too good to be true, you may be surprised to know that over 200,000 charities in the UK have been benefiting from this scheme, since it was first launched in 2010. Give As You Live is an online shopping portal which donates a small percentage of the proceeds of your online purchase every time you shop online at one of 4,200 retailers - whether you're buying books, booking train fares or ordering party fayre. The best bit is you don't pay any more for your purchase and no extra costs are added at the checkout. In 2016 alone, over 14,800 shoppers signed up to the service, raising an incredible £380,000 for over 200,000 UK charities. And if you think that's impressive, in March this year the online site reported hitting the £9 million mark in funds raised for UK charities since the site began, which converts to an incredible amount of positive change for a huge number of charitable causes. You can help Safe Child Africa fight persecution, re-house children in danger and improve child rights by becoming part of the Give as You Live success story. Then simply download the app to your phone, tablet or PC and the Give As You Live portal will be available every time you shop at over 4,200 high street and online stores. Once you've gone through checkout and the purchase is completed, the retailer donates a percentage back to Give as You live. This is then sent as a donation, directly to the charity of your choice. 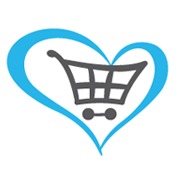 The more you shop using the portal, the more your chosen charity receives. It’s all done for you with no extra hassle and you can easily keep track of what you have given through your Give As You Live account, keeping you in the driving seat at all times. A growing number of Safe Child Africa’s supporters are signing up to Give As You Live, and you could too! Supporting us in this way makes so much sense. We recognise Give as You Live - who are a member of the Fundraising Regulator - for their passion and commitment to responsible UK fundraising and we hope you will join us and 200,000 UK charities in doing so.